With Volvo of Brossard’s regularly updated special offers, saving money is that much easier. Whether on the purchase of a new or pre-owned vehicle in Brossard, Quebec, or ensuring that your Volvo model receives the quality after-sales servicing it needs, we have your back. 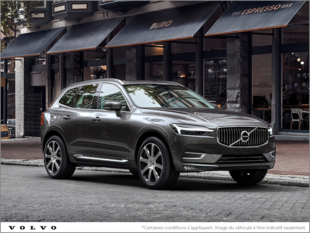 At Volvo of Brossard, we understand how important it is to provide our clients with value and to give them more for their money. We know that if you feel like you’re getting a fair deal, you will trust us for all of your needs. That’s why we strive to offer you the best in-house and manufacturer promotions, which are updated every month. At Volvo of Brossard, the savings start as soon as you walk in the door to purchase your brand new vehicle or to choose one of our high-quality pre-owned models. At Volvo of Brossard, we help you save money every step of the way with affordable lease and finance rates, generous incentives, and flexible loan terms. We also offer affordable financing on our pre-owned vehicles, and we will work with our financial institutions to ensure that you get the rate that works for you! 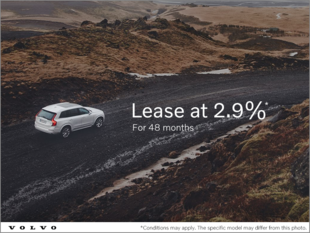 Our Volvo certified pre-owned vehicles have a wide range of affordable and flexible financing rates that are very close if not equal to what you would find on a new vehicle. When you return to Volvo of Brossard for your after-sales service, once again you will find a wide range of affordable discounts and seasonal special offers on all of our products and services including maintenance, detailing, genuine parts and accessories. 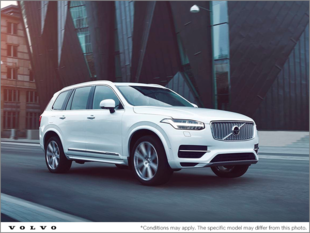 To learn more about our special offers, contact us today at Volvo of Brossard!